Round these parts, there are three weeks every year that define our little corner of Texas better than any other. The event is called the Houston Livestock Show and Rodeo. It’s the single largest gathering of real cowboys and girls on earth and no better place to show up than in a brand new SUV. Since most of us are the drug store type cowboy or girl, BMW just seems a perfect fit here. The 2016 X1 is all new from the ground up and includes enhancements such as increased interior room, more proportionate sheet metal and a desirability factor that has increased exponentially. 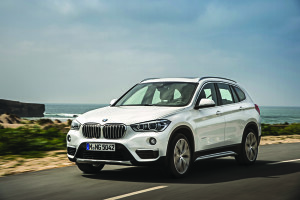 The smallest SUV in BMW’s stable is powered by a 2.0-liter twin-turbo I-4 that delivers 228-horsepower to a fulltime all-wheel drive system. Connected to the 8-speed automatic transmission this becomes one of the smoothest combos since Conway Twitty graced the rodeo stage. The combination of steel, wood and leather interior surfaces take you from the barn to the show like few others. 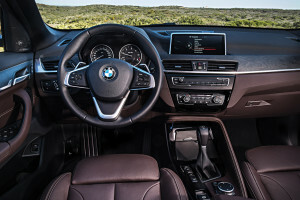 Handling is precise and the ride quality can be compared to nothing else, unless it’s other BMW’s. Other automakers have tried to mimic it, but few have ever come close. What really gets us excited about this all-new X1 is the price; starts at $34,800. Our tester came with cold weather, driver assistance, premium and technology packages, yet MSRP was $46,570. Giddy up. Some may say that rodeo is an American sport, so you better show up in something from an American company. Okay, how ‘bout GMC? These folks have been building trucks since dirt. GMC’s Denali trim level is like snatching that big, gold belt buckle after your winning ride. Yea, it’s flashy, with tons of chrome accents, bold, squared-off shoulders and wheel openings, but isn’t that what cowboys and girls want? Paint it tuxedo black and it can even be used to ride off in the sunset with your new bride or groom. The dash is a well thought-out two-piece affair with center stack controls separated from the center console. Combined with a two-color palate, wood-trimmed steering wheel and contrasting stitching throughout, you’ll feel like you just got your spurs polished. 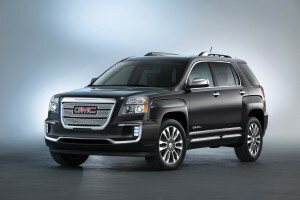 The newly refreshed 2016 GMC Terrain AWD Denali starts at 35,725.